Universities Federation for Animal Welfare (UFAW) focus is on Science in the Service of Animal Welfare. 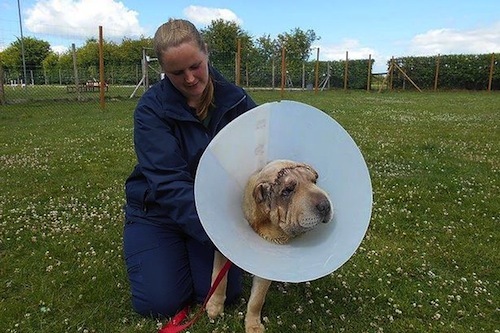 The UFAW website aims to help reduce the severity and incidence of breed-related welfare problems in companion animals by providing information for prospective pet owners, breeders and others. The idea is that if you are thinking of buying a dog or any other companion animal of a particular strain or breed, you will be able to find information on what inherited welfare problems may occur, and what checks you may need to make with breeders or suppliers in order to avoid buying affected or carrier animals and, in so doing, unintentionally perpetuating the problem. The problem of health issues related to unsuitable breeding was listed as the top welfare concern of vets & vet nurses in PDSA's Animal Wellbeing Report 2011 www.pdsa.org.uk/pawreport. Many genetic diseases occur in companion animals (eg see Lindblad-Toh et al 2005). Some of these diseases arose due to random mutations that became established in some breeds, but in other cases, adverse welfare impacts have arisen as direct consequences of the features being selected for. So, respiratory difficulties occur in some breeds because of selection for shortened noses, and others are predisposed to bacterial skin infections as a result of breeding for excess, deeply folded skin. Although efforts by responsible breeders, veterinarians and geneticists to try to tackle some of these diseases are gathering momentum, it is surprising that there has been rather little concern about these matters until very recently in view of their very significant welfare impact. The idea for this website was stimulated by the CAWC Report on 'Breeding and Welfare in Companion Animals' (CAWC, 2006). Tackling genetic welfare problems requires the concerted efforts of breeders, geneticists, vets, pet owners and others. A team approach is needed and the particular role of this website is to provide information on the welfare aspects of genetic diseases and conditions - to explain what they are and why they cause pain or discomfort. and were covering his eyes & ears so badly he was becoming both blind & deaf. Independent Advisory Council on the Welfare Issues of Dog Breeding (http://dogadvisorycouncil.org.uk/) is working to develop coordinated strategies to tackle priority diseases. Inherited Diseases in Dogs website (www.vet.cam.ac.uk/idid/) contains a guide to diseases/conditions of pure-bred dogs which are likely to be transmitted wholly or partly through a genetic mechanism. Scientists, for example, at the Animal Health Trust, are working to identify the genes involved and to develop tests so that carrier animals can be detected (http://www.aht.org.uk/cms-display/genetics.html). British Veterinary Association Animal Welfare Foundation (BVA AWF) and the RSPCA have developed a 'puppy contract' scheme so that prospective puppy buyers are given information relevant to genetic health before making a purchase (http://puppycontract.rspca.org.uk/home). Kennel Club funds and promotes research into tackling genetic diseases in dogs and works to develop strategies to tackle them (www.doggenetichealth.org/). Under its umbrella, many of the specific breed clubs have genetic health schemes. Dog Breed Health website is a user-friendly source of information, providing advice for prospective puppy buyers on what diseases can occur and how to avoid them (www.dogbreedhealth.com/). I wish to buy a pet – what can I do? Prospective pet owners have a very important role to play in helping to eradicate genetic diseases and poor welfare traits. If people only bought animals from problem free breeds or lines, the disease-prone lines would be replaced by their healthier cousins. For 10,000 years the selective breeding of dogs has been focused on aspects of performance, behaviour or appearance. This approach characterises the breeding of many other species of companion animals as well. Unfortunately, this has resulted in many genetic diseases. It is now time for priority to be given to breeding for the animals' welfare. To drive this change, prospective pet owners, and breeders need information on the welfare consequences of these diseases. This website includes information not just about the physical effects of genetic diseases but also assessments of their effects on the animal’s quality of life, for example through causing pain or discomfort, to inform prospective pet owners' choice of their new pet. To learn more visit UFAW's webpage on Genetic Welfare Problems of Companion Animals - http://www.ufaw.org.uk/genetics. 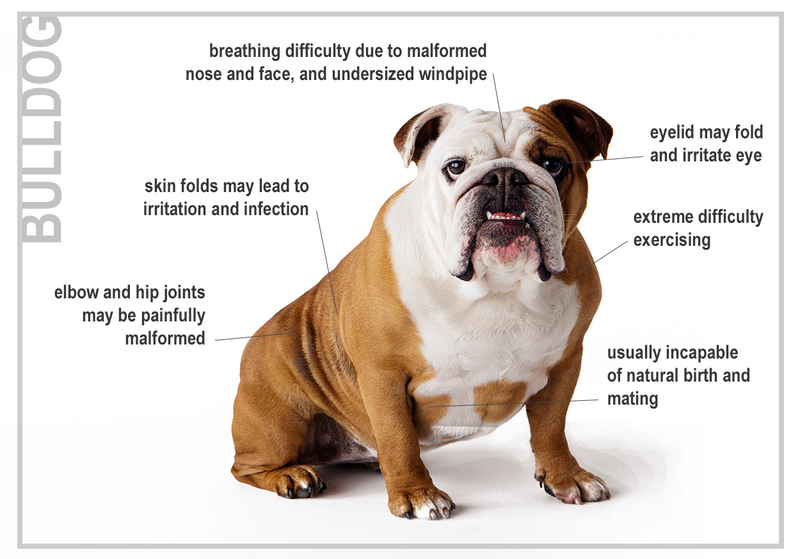 genetic disorders can cause in dogs,and how they can be prevented. Thanks for sharing this post with us. I am little bit interested to get more information about Canine Hip Dyplesia. I like to share my opinion on Canine Hip Dyplesia.For those who subscribe to the idea that it's genetic, they're born with it. Canines which have extreme hip dysplasia usually start to have issues as puppies. Typically, the hip dysplasia doesn't trigger ache for the canine, so they don't present indicators of it till they develop arthritis of their hip joints. Some canines that aren't as extreme can dwell out their whole lives with few, if any signs.Allover this is a great blog. If you want to know more about this visit here Canine Hips. Looking for getting the proper supplies for the pet. I suggest you to get the buy pet toys online and other pet supplies from the online store at an affordable price.